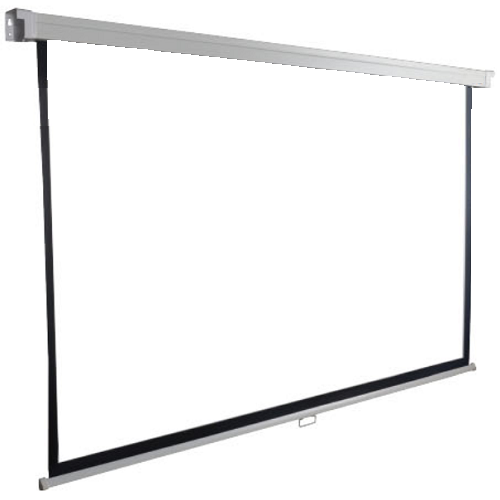 This screen is perfect for general / business use in a medium sized room (say 3m wide by 4-5m long)in conjunction with any data projector. Suitable for use in classroom or medium sized groups. The square format has no top border and the length is adjustable meaning it is a universal screen. Use this screen for presentations or a combination of presentations and video. The PM series features high end fabric and a slow retraction mechanism. They also feature a square case for easy mounting to wall of ceiling. The PM series screens are designed for Australia and feature thicker, stretch-resistant fiberglass fabric. Every PM Series screen comes with a built-in slow retraction mechanism to ensure that the screen surface is protected by slowly and safely rolling it up into the housing. The small, square profile white housing means that the screen may be unobtrusively mounted against a wall or ceiling. The screens have built-in L shaped brackets at each end of the housing. 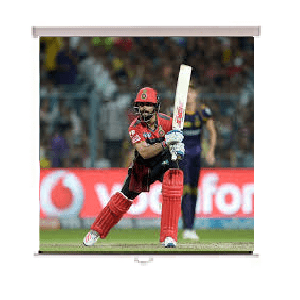 Screen surface (viewable area including 2.5cm border) area is 220cms by 220cms. The housing is slim-line white and measures 7cms by 9.5cms. 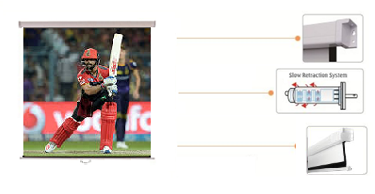 Overall width of screen including housing with motor is 232cms. 122" size refers to the diagonal of the screen surface expressed in inches. The screen surface is matte White high end fabric and has a lightproof black back. The screen has a gain factor of 1.2 and has a 2.5cm black border. The built-in L-shaped brackets are used for both direct ceiling and direct wall mounting. Two screws at each end are used to secure the screen to the wall or ceiling.